Arrange the cabbage wedges into the bottom of a large metal baking dish. Pour the water into the dish. 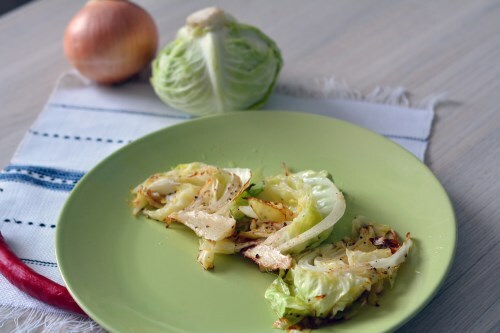 Place a teaspoon of butter on each cabbage wedge. Season liberally with garlic powder, seasoned salt, and pepper. Cover the dish with aluminum foil. Place the dish on the preheated grill; cook until cabbage is tender, about 30 minutes.